Let’s see. I’ve been in Istanbul for 12 days now, and I think it’s rained for 10 of them. Today was looking good for a while (sunny while we were in school), but it clouded over before we got out, and I had to drag out my umbrella for the walk to study hall tonight. Sigh… It frustrates me that the weather affects my mood, but it seems to be all about sunshine for me. In spite of a steady drizzle on Sunday morning, I decided to hop on the service bus to Taksim. It leaves bright and early, and believe me, I wasn’t all that bright so early. Since my only off-campus visits had been to malls (4 times) since my arrival, I needed a CF—a city fix. There’s no traffic on Sunday mornings, so we got to Taksim in less than an hour. First I took the funicular down to Kabataş, then caught the tram to Sultanahmet (the old city). 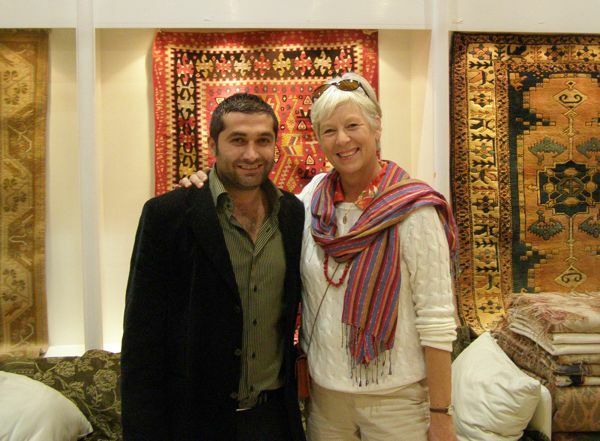 My goal was to visit my friends at the Harem 49 rug shop to share my amazing Mexico experience. When Susie and I visited Cozumel in January, we noticed a shop called Istanbul Carpets. Right. “What are the chances that anyone speaks Turkish in there?” I asked. Susie urged me to check it out, so I stepped inside and said, “Merhaba. Nasilsiniz?” (Hello. How are you?) Well, one of the two men sitting by the window jumped up and strode over to me, answering in Turkish, grinning warmly, and extending a hand for a handshake that became a hug, complete with cheek-kisses. Very Turish. We continued a short conversation in Turkish, which was about my limit (I’m not exactly fluent yet). 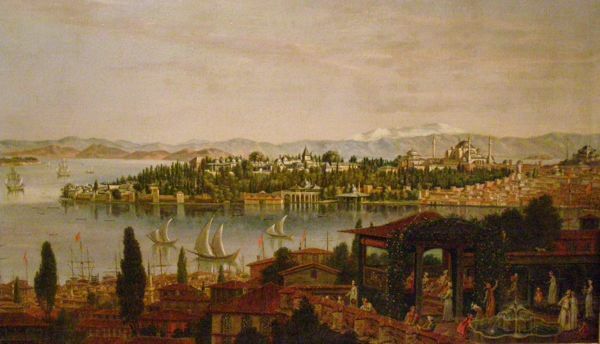 To make a long story short, Engin, the shopowner, used to work for Hussein at Harem 49, my favorite Sultanahmet rug shop. Not only that, but his cousin Ümüt works there now. I mean, what are the chances of meeting a man in Mexico who knows the same people I know in Istanbul, a city of over 15 million? Amazing. 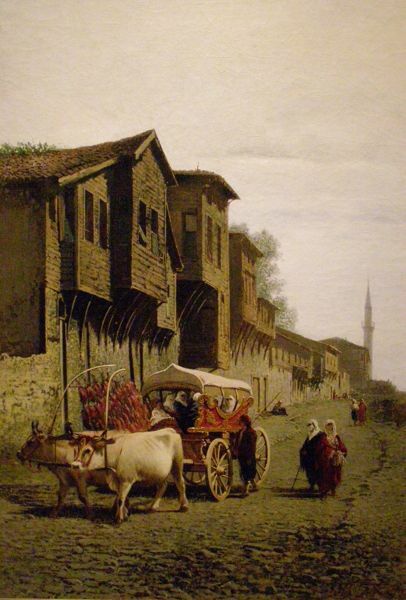 After buying an evil-eye keychain for my new lojman (apartment) key, I hopped back on the tram toward Taksim. I still had three hours, but no point in pushing my luck. 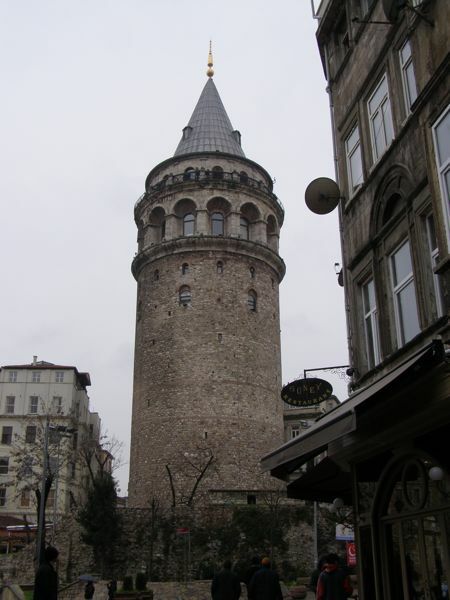 The drizzle had abated, so instead of taking the funicular back up the hill, I opted to hike up and pay my respects to the Galata Tower along the way. 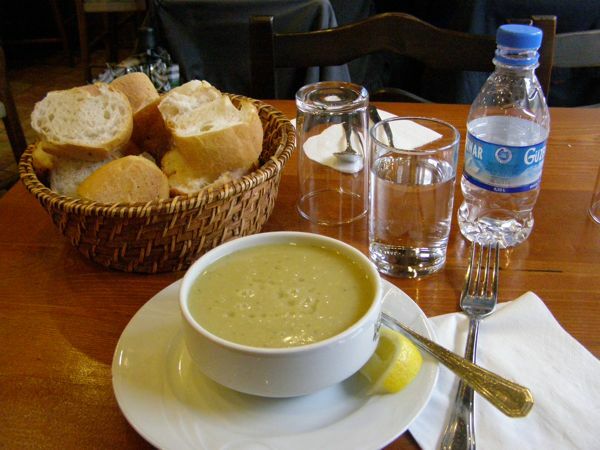 I ducked into a little restaurant for my first bowl of mercimek soup, my FAVORITE—a lentil soup beyond compare. 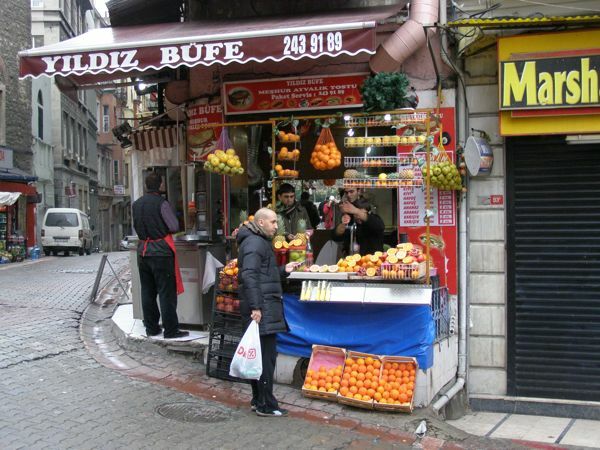 They serve it with a mountain of white bread for a whopping 3 Turkish Lira ($2). I didn’t eat all the bread. 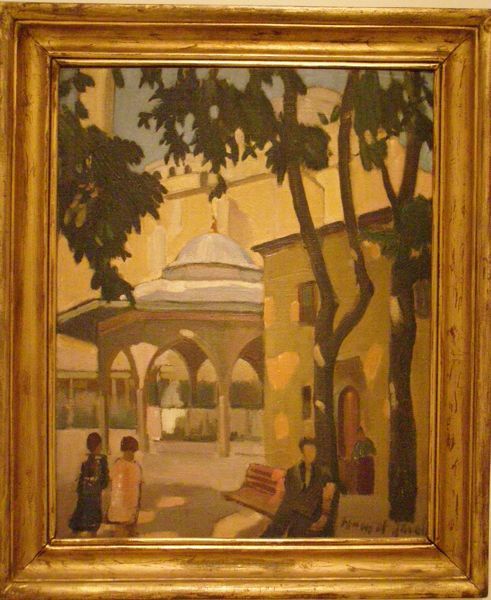 When I got back up to Istaklal, I still had plenty of time, so I decided to check out the new exhibit at the Pera Museum, a Koç family art museum. 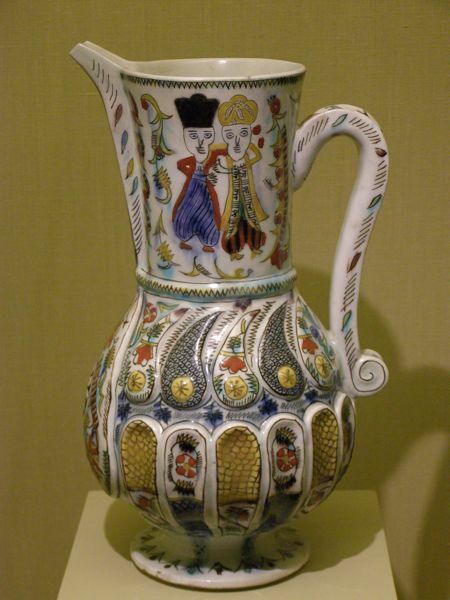 This museum is a class act, with rotating exhibits on the top two floors and permanent exhibits of Turkish art and ceramics on the lower floors. The featured exhibit was a collection of impressive storyboard paintings by Japanese filmmaker Akiro Kurosawa, but I was most taken with the Turkish artwork this time. Maybe because I’m so happy to be back. My favorite painting is a mere century old: the “Tortoise Trainer,” probably the most famous (and valuable) painting in Turkey ($3.5 million). 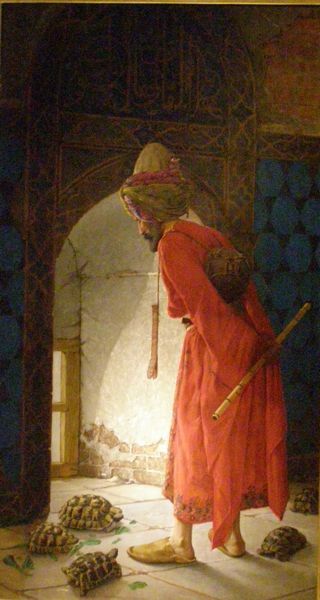 It was painted by Osman Hamdi Bey, an amazing man who was not only an accomplished painter but also an archeologist. 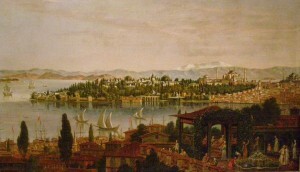 He established the Istanbul Archeological Museum, no small task. I’ve read that this painting depicts Osman Hamdi Bey’s frustration with getting the Ottoman rulers to change with the times. The implication is that it’s like training tortoises with a flute, and tortoises have very poor hearing. Interesting analogy, huh? 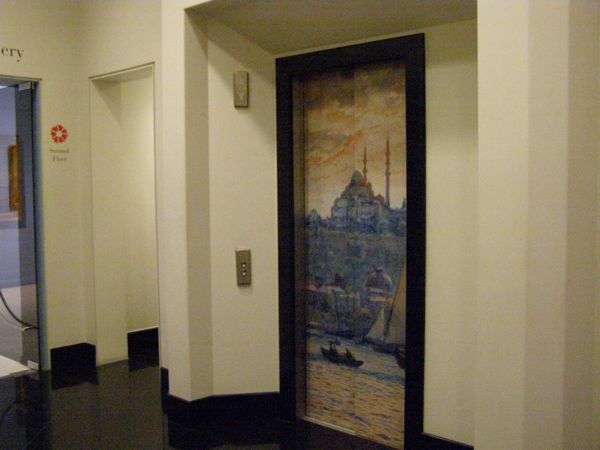 Even the elevators at the Pera are painted! Finally, a trek through the rain to the service bus, provided at no cost by the school. Lucky us. So—there’s my rainy Sunday in Istanbul. Here’s to sunny days ahead!